Ashlee Washburn and Matthew Dalton met while they were in high school. Matthew proposed on the Crim Dell Bridge on the William & Mary College campus because of the local legend that says that if two lovers meet and kiss in the middle of the bridge, they'll be together forever. This is also why they chose to have their First Look on the bridge outside the wedding venue. 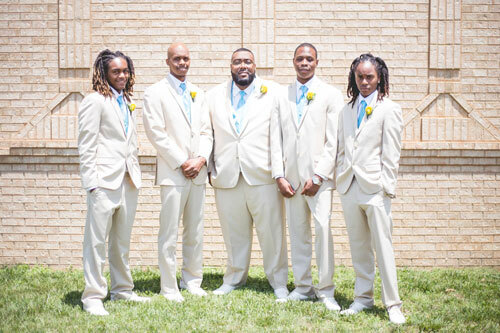 The couple had a traditionally romantic ceremony with a more modern reception, something that was a total hit with the guests. 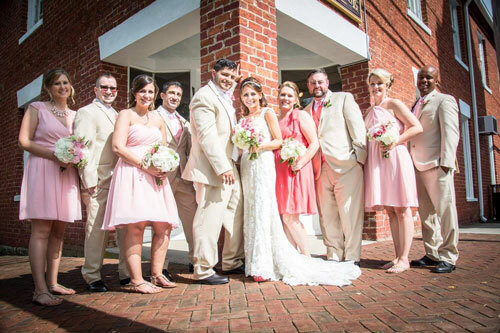 Many of Ashlee's friends still tell her that it was the most fun they have ever had a wedding reception! Because the couple accidentally chose their wedding date to be the same as the Battle at Bristol football game, Virginia Tech alum Matthew chose "Enter Sandman" as the couple's reception introduction. Guests were able to take a break from all the fun and signature old-fashioned cocktails to peek into the restaurant next door for game updates! 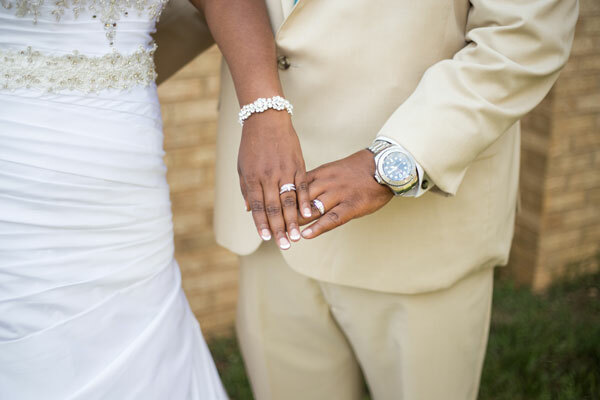 Make sure to see more of the Dalton wedding on page 101 of bridebook! Lakesia and Jordan first met through a friend and there was immediate banter between the two after he told her that she had a “smart mouth.” It seems like that was just what he liked in a woman, though, because the couple then went and danced for hours at a club and sparked a romance that neither could predict would turn into the love of their lives. Jordan surprised Lakesia at work one day when he had her boss call her into the back room. 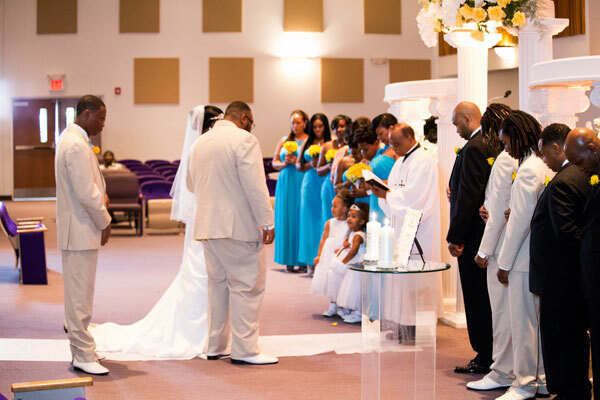 As she walked back to meet him, her friends positioned Jordan so that he was ready to propose to her with all her coworkers standing around him. 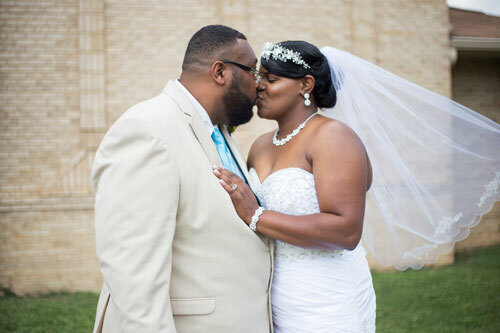 Lakesia excitedly accepted, knowing that she was ready to spend the rest of her life with the man she loved. 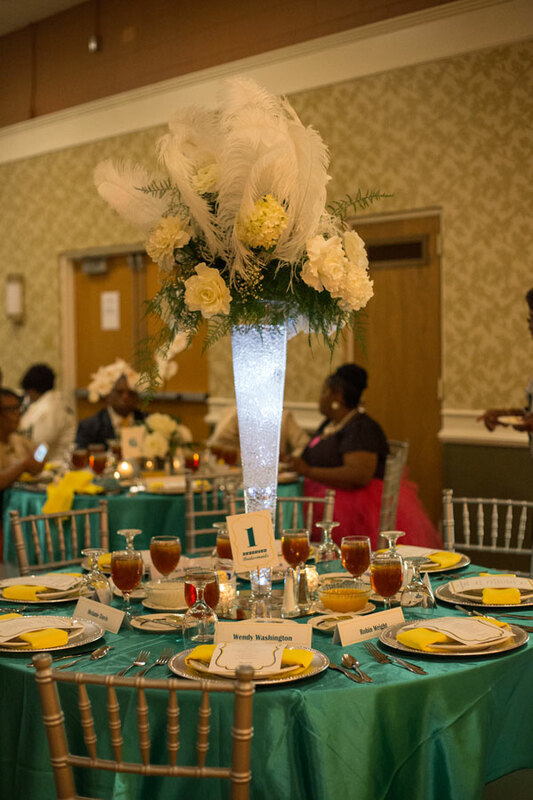 The wedding didn’t have a specific theme but Lakesia knew that she wanted it to resemble spring elements. The decorations and dresses used a lot of bright colors in order to put everyone in the mindset of the ocean and sandy beaches. Lakesia let her wedding planner have a bit of fun with the wedding pieces and was pleasantly surprised to see the masterpieces that were created out of her chosen flowers. The bouquets each had a diamond at the center in order to make them stand out and they sparkled during the ceremony. The cake was made by Confection Connection and was vanilla almond with buttercream icing. It was the showstopper of the night, right after the stunning bride. Lakesia loved having her grandmother in attendance, and the fact that she was able to look at her mother’s proud expression the whole time while her sons walked her down the aisle. Having her sons next to her while she walked to the love of her life was an amazing moment for the bride and she knows how special it was to all of her family who were there. 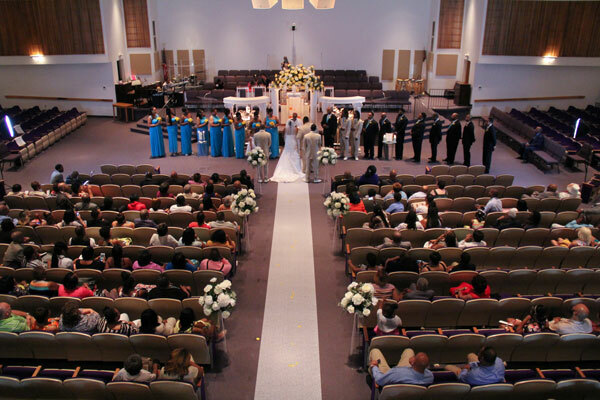 The wedding planner truly worked hard to make sure the day was exactly perfect for the couple. 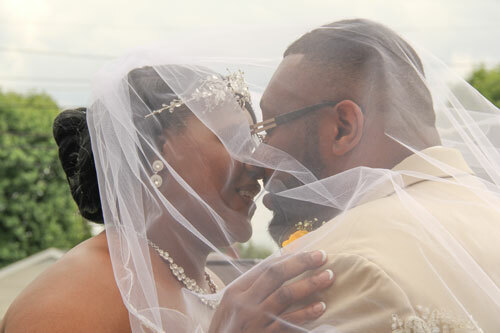 There wasn’t a moment where she was fazed, says Lakesia, and the big day was the bride’s vision come to life. 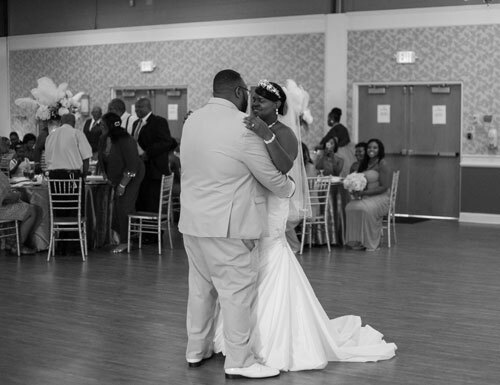 Be sure to see more of the Washington Wedding on page 52 of bridebook!